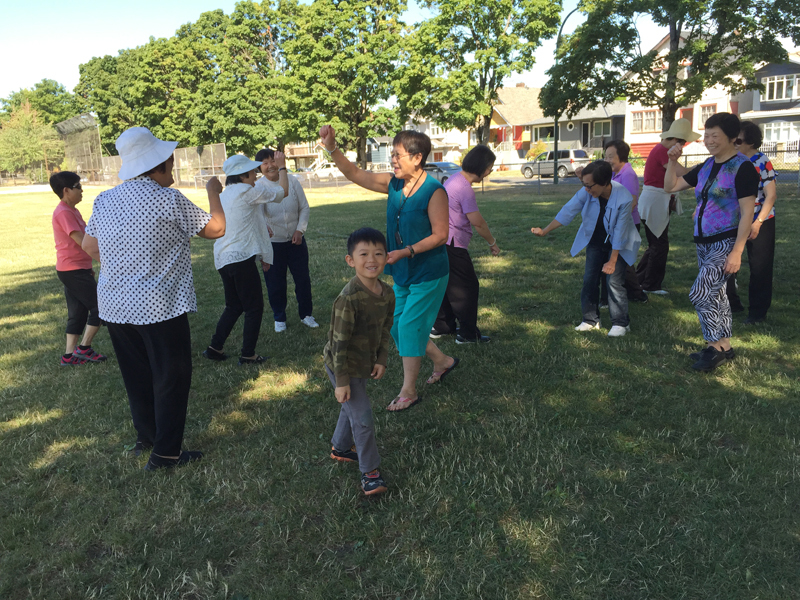 It was mid-week and we decided to go to the park in the morning before heading over to Summer School. 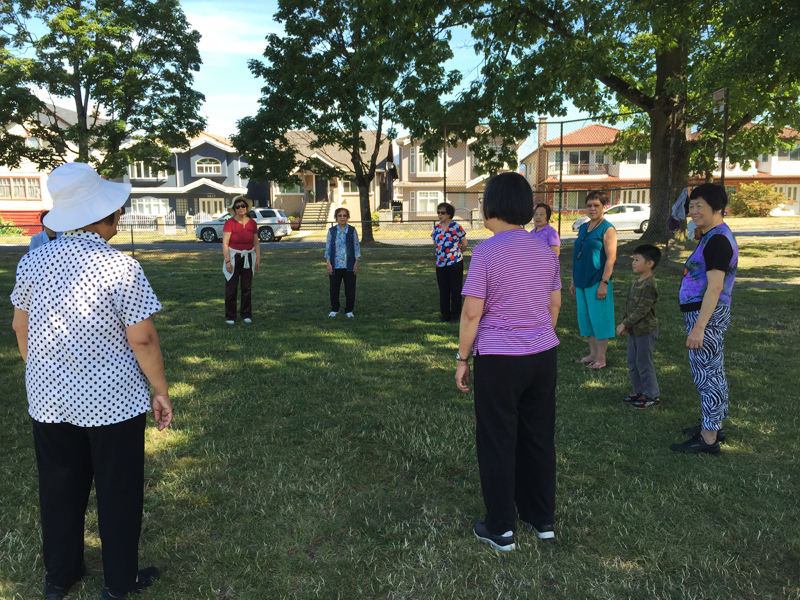 It was a family drop-in activity organized by the staff and volunteers at Frog Hollow Neighborhood House: "Frogs in the Park" is what they call it for the summer activities at Clinton Park in Vancouver, BC. I took Little Brandon to join in the Laughter Yoga with mostly seniors as the participants. What is laughter yoga you wonder? Laughter Yoga is a series of movement (and breathing exercises) designed to stimulate laughter and cultivate an inner spirit of joy. It is a technique that invites laughter without using jokes or humor. It was cute because Brandon was the only kid in the group.